These guys were probably my favorite couple when I was a pre-teen/teen reading David Eddings latest book. Ce’Nedra and Garion starting out as the classic teenage infatuation story before gradually turning into a more mature relationship as things move along. Nope, they were never realistic, but I wasn’t looking for realism back then — I was looking for something fantastically fun. Another teen favorite of mine were Tarod (the brooding and confused young man) and Cyllan (the strong woman who loves him and inspires him). These two societal outcasts relationship all about us against the world — which pretty much described ever teen relationship I recall having during those years of my life. Hey, that might be why I always liked these two. Only took my a couple decades to realize that. Another teen favorite of mine where two star-crossed lovers find one another. Only this time they do so in an usual way. Can’t mention how it happens, since it would ruin the surprise, but I thought it was fitting. Of course, the fact that they are sworn enemies to one another makes things much more interesting. But, hey, these two were foretold to get together and have a baby by an ancient prophecy, so you kind of saw it all coming in a way. But their ability to transcend their own personal antagonism for the other’s race was simply yet elegantly done by Jennifer Roberson. Two people from very different worlds finding each other, then making it all work. Simple but powerful love story. 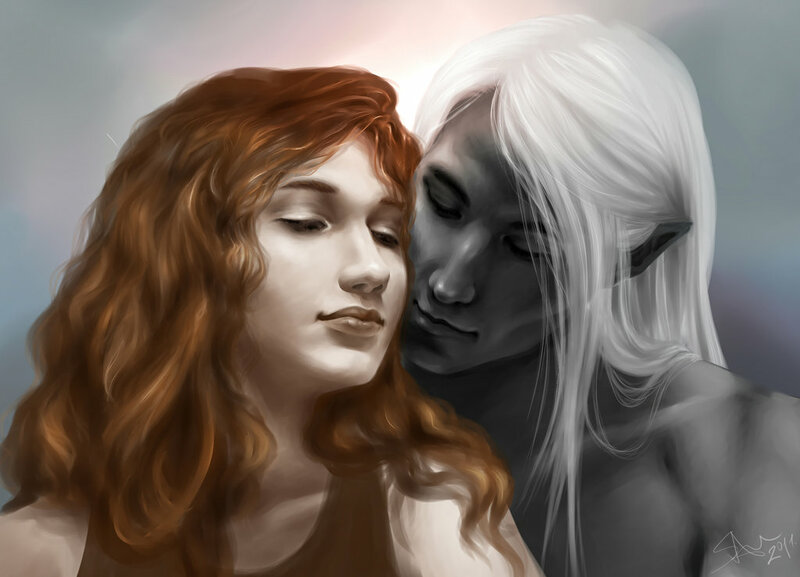 R.A. Salvatore leaves most of the romantic antics of the pair to a reader’s imagination, but their deep devotion and smoldering passion is always there right under the surface. Many times I’ve said these two are about as close to soul mates as fantasy offers, and I still feel that way. Perhaps their romance isn’t the most realistic (Gwen migrates across the continent to find the man she learns later is Royce after seeing him in a vision), but the unmistakable love and caring they have for one another shines through in the story. You see how they make each other better, or to borrow a bit from an old movie, “They complete each other.” Plus, they actually treat each other with respect and caring, which I don’t see in fantasy stories enough these days. What happens when a young, lonely gunslinger rides into a small town with his friends? Yeah, you guessed it. He will probably find a nice, young girl to keep him company. And this is exactly what occurs when Roland Deschain meets Susan Delgado on the road one night in Wizard and Glass. The two youths find themselves overwhelmed by passion for one another, begin to meet clandestinely wherever they can as they care on a torrid affair which might or might not have developed into true love. 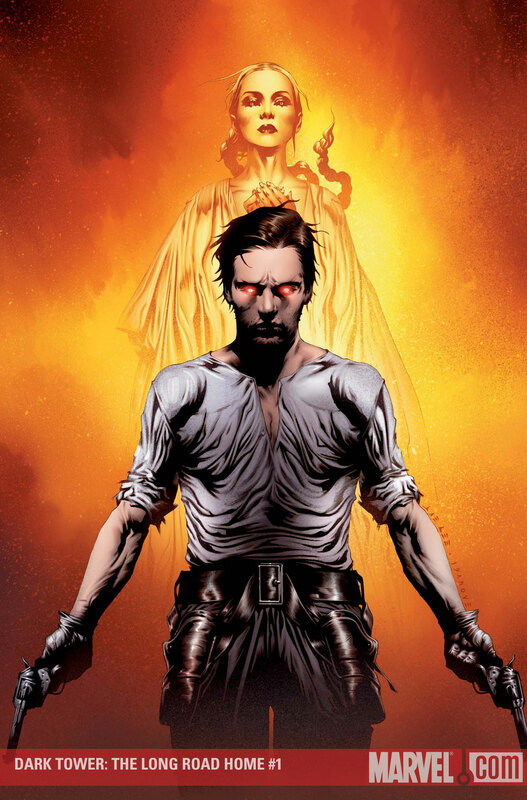 But like all things in The Dark Tower, we will never know fate intervenes in a most unforgettable way! 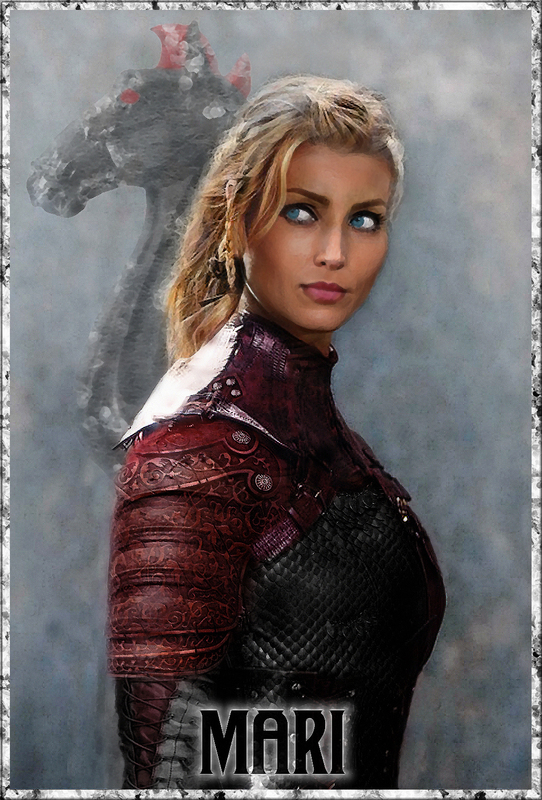 Mari is a warrior who aspires to the highest pinnacle of honor and servitude to her kingdom, her family, and her order. Dragon-Eyed Indris is a broken man, who has lost all that mattered to him: his wife, his chosen life, his trust in his order, and his faith in humanity as a whole. 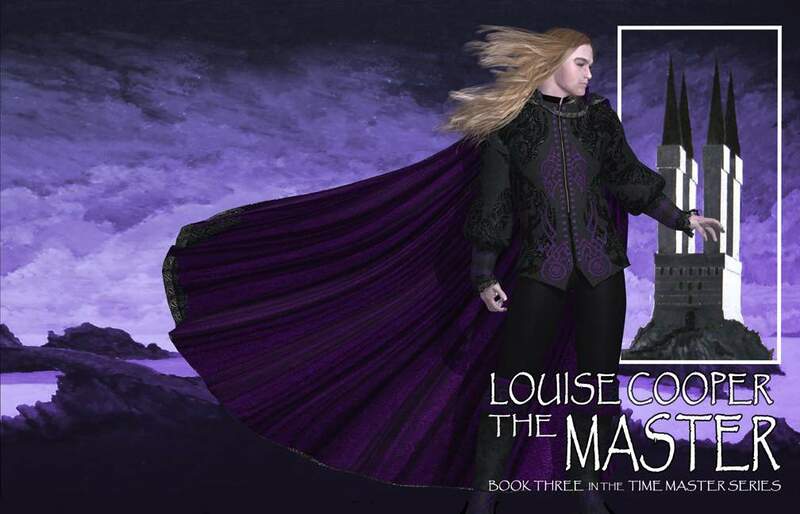 When these two find one another in a night of passion, they also discover that they are soon set to be enemies — Mari’s father the antithesis of all that Indris holds dear. So what are these lovers to do when everything they found might be ripped out from under them, you ask? Why hold on even tighter to one another. This is an understated love story. I mean, unless you are carefully looking for it, you will never see it coming. But, eventually, these two get together and become a shining example of a mature couple, where each person respects the other, sees the other’s faults and weaknesses but doesn’t hate them for it, and strives to hold on to their relationship when the world and time is busy destroying it little by little. Nope, it might not be exciting, but sometimes love isn’t exciting it is just right. Ingold and Gil are a great example of that. The cynical middle-aged guy who has seen it and seen it done more times than he can recall. All that bitterness and “I Don’t Give a Damn” attitude covering up a romantic heart. His Lady the sorceress supreme who forged a continent spanning empire twice. Could anyone dream these two would fall in love and actually develop into a mature, caring couple who choose to remain together, no matter what life throws at them. I never did, but it was fun to see it happen. 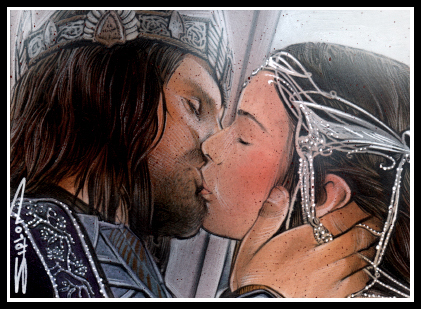 Arwen Undómiel, often called Arwen Evenstar, daughter of Elrond and Celebrían, and Aragorn, Ranger of the North called Strider, Heir of Isildur, and rightful King of Gondor, are the ultimate fantasy couple to me. At least in the movies, they are star-crossed lovers who hold onto each other when everything and everyone is trying to pull them apart. 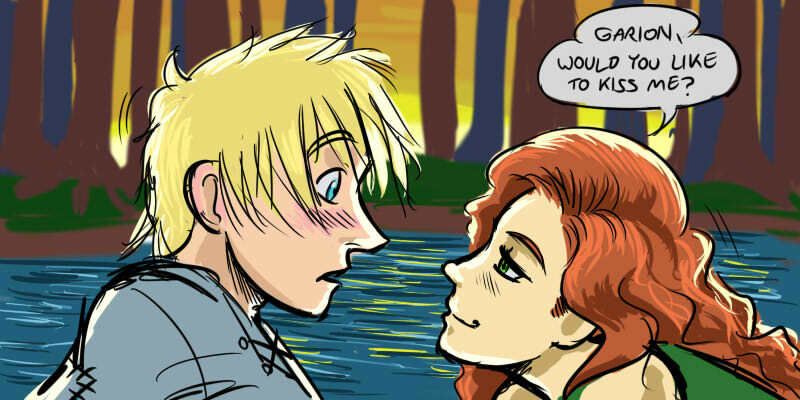 I personally just have to put them on top of my favorite fantasy couples list due to all that. 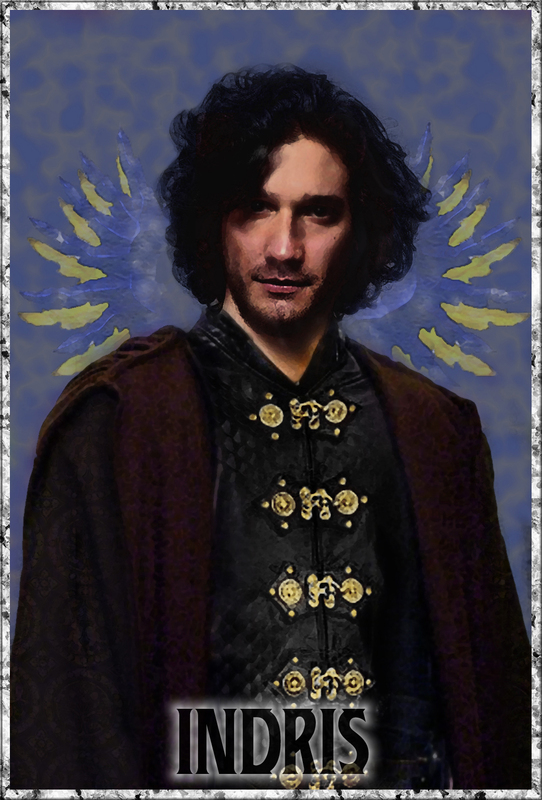 This entry was posted in Fantasy, Top Ten Tuesday and tagged Aragorn, arawien, Black Company, Croaker, Drizzt Do'Urden, fantasy couples, favorite fantasy couples, Lady, Top Ten Tuesday. Bookmark the permalink. Oh, I have Darwath, need to make time to read it one of the days. And Royce and Gwen is a great pick! Wow. I have only read the top two on your list. That is a record low. They could be nowhere else.